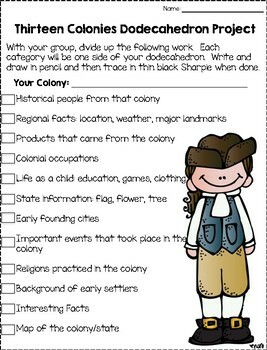 This is a great way for students to dig into the thirteen original colonies and present their information in a fun, creative way! This listing contains the checklist of research items for each colony. I purchased my dodecahedrons from The Dollar Tree.